When it’s time to sell a home, you’ll soon find that the skills of a range of property professionals need to be called upon. Of course, there’s the agent to be considered – but you’ll also need to elect a solicitor or conveyancer, a finance broker, a copywriter to ensure inviting and professional marketing texts (that’s us – contact info@rubyslipper.com.au for booking details), a home-staging service to furnish the home with elegance … and a specialist property photographer to ensure your home is captured at its most beautiful and alluring. Today Hometruths Melbourne begin a series of ‘meet the professional’ interviews, highlighting the skills and career trajectories of Australia’s most remarkable property specialists. We begin with John Wheatley, the Director of Urban Angles – a Melbourne-based prestige property photography studio whose images illustrate this editorial. HT: How did you come to specialise in photographing homes? It all began back in the mid-nineties when we where working for most of Australia’s major paint companies, photographing home interiors and exteriors for their marketing. In those days, specialising in residential photography was pretty rare and home styling for the real estate market was quite basic. The more I looked at property photography, the more I realised how badly images were composed, framed and set up. 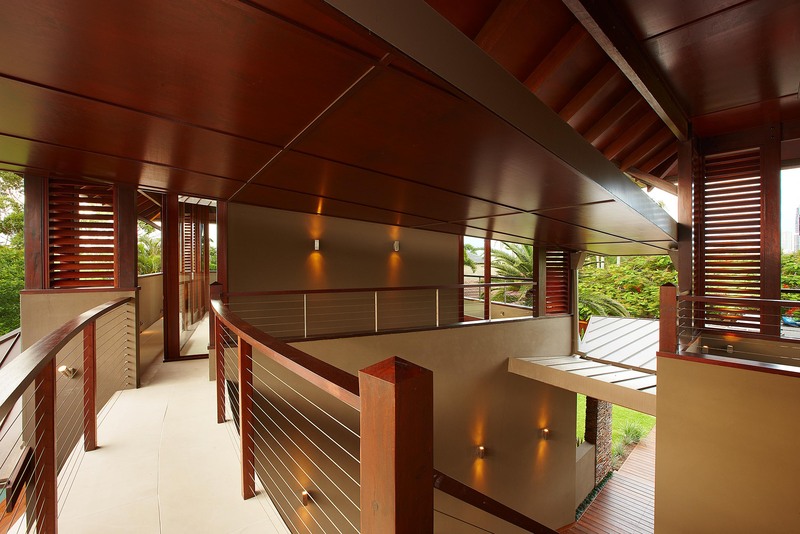 Often detail would be obscured and the best features of a house ignored. I asked around and chatted with some of my real estate contacts and realised that there was a gap in the field, so in 2001 Urban Angles was established to raise the level of property photography to match the standards you’d see in mainstream advertising and creative. And that came down to treating the vendor or agent as a client and respecting the property by showing it in its best light. HT: How does professional photography differ from simply using a DSLR camera? Like any photography, capturing a home on camera is not just taking a few snaps and applying some clever filters. Professionals start out by getting to know the subject and of course knowing the market – what do potential buyers want to see. This can sometimes be different from what vendors want to show. Years of experience have taught us what makes a good real estate image – from the light to the framing, the focus and the detailing. But choosing the right lens and taking the photo is only the start. Each image is then taken back to the studio and perfected. We can remove an unwanted reflection or touch up the colour to better reflect the actual décor. We can even make a cloudy sky look less gloomy or tone down blazing summer light. It’s all about adapting an image to suit a whole range of marketing mediums from traditional newsprint to high-end brochures, sign boards and online. Some vendors might be tempted to save a bit of money by using a ‘friend of a friend’ who’s not bad with a camera, but it means trusting an amateur to help sell what is often their biggest and most valuable asset. HT: How do you work with vendors and agents in the home when you arrive for a shoot? When we first arrive at a property we walk through it and really get a feel for the home and its ambiance – because we want to try and reflect that in our photography. We look at all the showcase features, chat with the owner or agent about what they think is most noteworthy and definitely take on board their suggestions. But we also try to stay objective and look at the home through the eyes of a purchaser. It’s also important that we try to show scale and overall composition. Where possible we try to give people an idea of how the home ‘works’, and each room interacts with the next. Then we try to balance the ‘architectural’ shots with those that give a hint to the lifestyle the home will offer and ultimately show it off – making it look its best from every angle. HT: Are there any particularly memorable properties you’ve enjoyed documenting? I guess, from the perspective of sheer scale, the most impressive home I’ve photographed was on the Gold Coast. The owner was a builder with an incredible eye for detail. 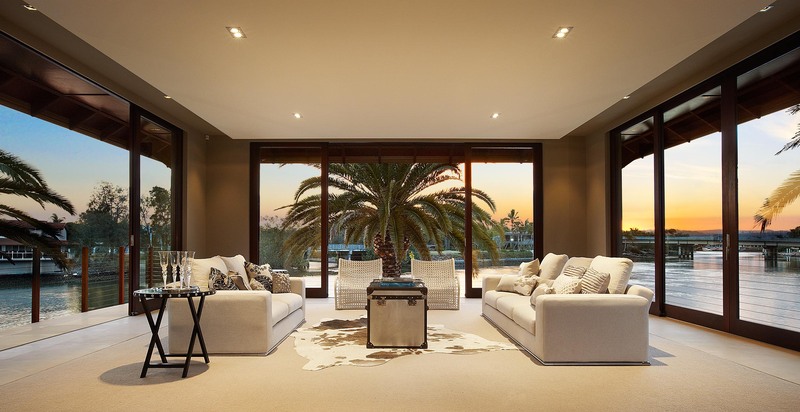 He flew me up to the Gold Coast and I was blown away by the quality that this home displayed. It was built across two regular blocks and included its own private beach (image below). The builder was very particular about the materials, even waiting two years for the timber to be sourced from an historic jetty that was being rebuilt.The workmanship throughout the entire property was incredible. Nothing was left to chance and it allowed for a huge array of photographs. I was there for two and a half days, and I still think I could have photographed more. There was so much detail and so many features to the home that a prospective buyer would fall in love with. 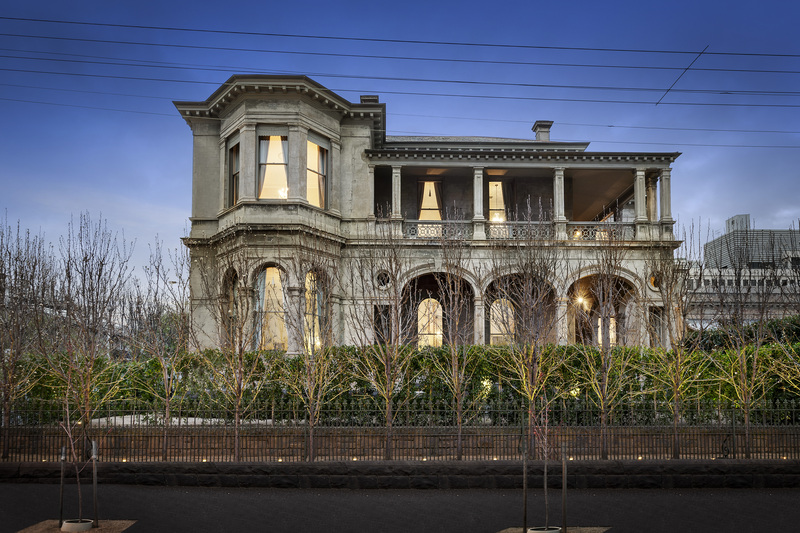 The other home that springs to mind was one in East Melbourne (inset above and below), a very different and heritage style Victorian-era mansion with that signature eastern suburbs architecture. I first photographed it years ago when it was certainly grand and imposing, but in need of careful renovation. It sold and the new owners did just that – updating it brilliantly. I was lucky enough to be asked back to photograph it when the new owners were ready to sell, and it was incredible to see how they had so meticulously and sympathetically updated it. The original home was certainly recognisable, but it had been given new life. The subsequent owners then improved it even further, but like the previous residents, did it in a way that respected the original features and the heritage of the property. It’s not often you get to see a period home evolve through its various makeovers, but on this address I was lucky, and really got to appreciate each owner’s commitment to restoring such a beautiful example of classic Australian architecture. 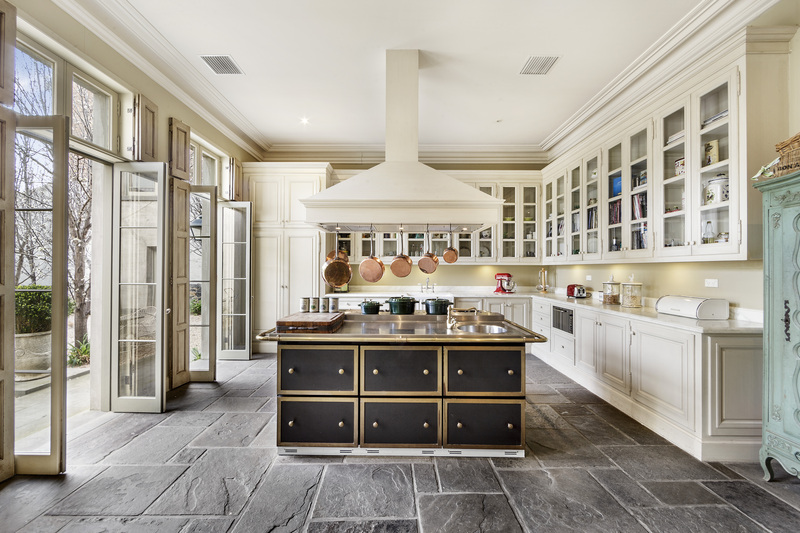 HT: What preparations should a vendor undertake to make their property photograph beautifully? Whenever we’re asked to photograph a property, we always advise vendors to go through the checklist on the Urban Angles website, because it’s easy to overlook details amid all the emotion of selling a home. There are the usual tasks, such as making sure the lawns and gardens are in perfect condition, since good first impressions are always vital. The second area to tackle is the kitchen. It’s the most functional and busiest area of the home, but can also appear the most cluttered. 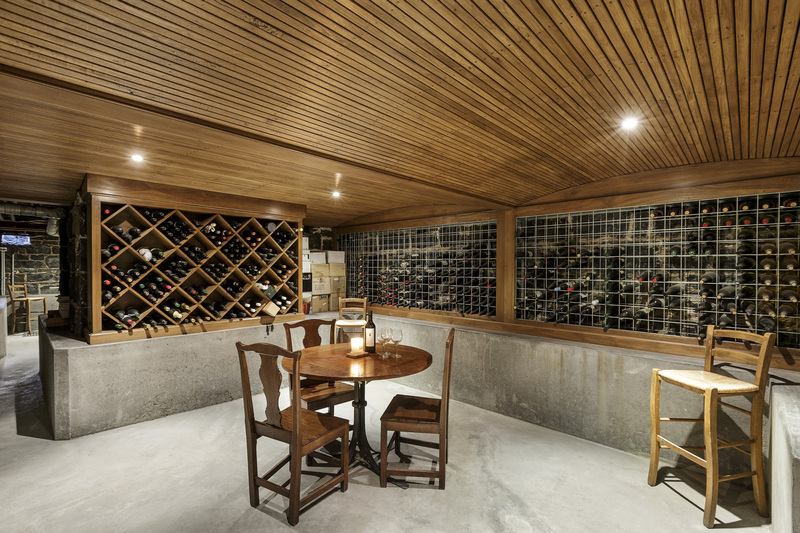 Only then should a vendor begin to tackle the other areas of the house – from the cellar to the attic. A clear checklist makes all the difference, because ultimately, it’s about being absolutely prepared for when the photographer arrives. In most cases, there’s only about an hour or two to complete the shoot, so every minute that a photographer spends moving furniture or helping to tidy a room is time that should be spent behind the camera. HT: What’s your favourite season in which to photograph? I love shooting in late autumn when there’s a feeling of winter coming on. The air has this real crisp light to it that provides plenty of clarity and atmosphere. The cooler season makes even the most imposing home look warm and inviting. A lot of people are surprised that I like it when deciduous trees have lost their leaves, but it means you can often see more of the home’s architecture and facade. Bare trees can be really stunning when photographed correctly. Early spring is also a great time to photograph homes, which is fortunate since spring is also the key selling season in Melbourne, and like autumn, enjoys that crisp clean air that makes the showcase features of a home really stand out – because after all, that’s always we professional photographers are striving to achieve. Contact Urban Angles to photograph your own residence by clicking here.